Hello! Welcome to the new Ladies Forum on HappierAbroad. Hope you like the pink and sky blue theme. 1) Our main forum, although great, primarily revolved around men's issues. Thus, women were not inclined to post there as they did not feel they had a place. 2) There is a lot of women bashing on the main forum. So obviously, women are not going to feel inclined to join and participate in that. 3) When women did join and participate, major personality conflicts ensued with the male members. In fact, some of the male members did not even want them around. Thus the only sensible solution was to create a separate forum for the ladies that revolved around their issues and perspectives. This it the only way we could expand our movement to include both genders, without causing any personality conflicts like what occurred on the main forum. So that's the background story behind it. Now that's not to say that ladies can only post here and not in the main forum. Ladies are always welcome there too (officially that is). They should just be aware that that forum revolves primarily around men's issues. Likewise, this isn't exactly a "ladies only" forum either. Gentlemen are allowed here, as long as they are aware that this forum revolves around women's issues and perspectives, and that they should not be here to bash women. 1) Be civil and respectful to others. Just exercise basic civility. With most of you, that shouldn't be a problem. 3) Please do not come here to bash women. If you want to do that, go to the other forum (the link is at the top). Also please note: If you are one of the members of the main forum who opposed the creation of this new forum, then please DO NOT register here. We do not need unnecessary trouble or friction as we had in the main forum. At this point, there is no moderator yet. But I will try to find one. If you have any questions, let me know, or post them below. Winston - Will you be creating a topic for suggestions or to report a problem? 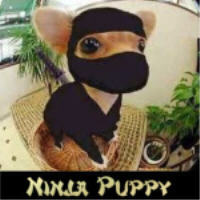 NinjaPuppy wrote: Winston - Will you be creating a topic for suggestions or to report a problem? Yes, there is a suggestions board at the bottom of the forum. Maybe I will change it to "Suggestions/Report a Problem". Believe it or not, I just found a whole bunch of topics that I didn't even know existed. It's not easy going from Moderator controls back to the Member controls. It's like learning all over again.